While it’s impossible to predict what will exactly happen after you’ve sent out a letter of demand, individuals and companies do tend to react in certain ways after receiving one, particularly if the demand is for an outstanding sum of money. 1) The adverse party ignores your Demand Letter. There can be any number of reasons why an adverse party ignores a Letter of Demand. The adverse party could be banking on the possibility that your letter is a bluff and that you won’t bring legal proceedings after sending the letter. The adverse party may be preparing a Defence to your eventual claim and simply be waiting for you to issue a Writ of Summons. The adverse party may not even have received the Letter of Demand in certain situations, which is why it is a good idea to always send off your letter in a variety of ways (E.g. email, fax and registered post). Some law firms charge a base rate to send demand letters through normal mail and a surcharge to send letters through registered post. It’s usually a good idea to send your letter through registered post at a minimum. 2) Payment is made promptly within the time frame set out in the Letter of Demand. This is the perfect situation for anybody who sends out a Letter of Demand. The adverse party receives the Letter of Demand, and realizes that the party sending out the demand letter through his solicitors means business. 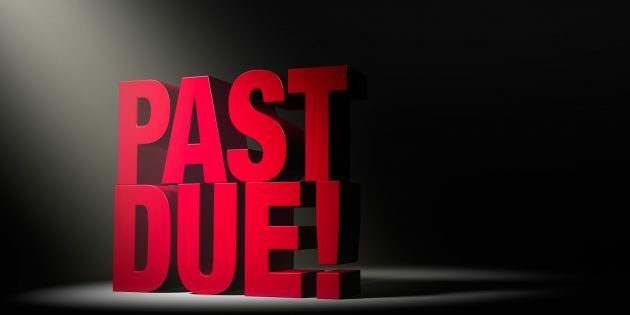 Individuals, particularly those who have never been involved in a legal process before, may be more susceptible to toeing the line after receiving a Letter of Demand. If the adverse party has the means to pay and simply overlooked the payment, a Letter of Demand may be the kicker that gets the adverse party to pay up. 3) The adverse party responds to ask for more time. Sometimes, the adverse party simply doesn’t have the funds to make payment. For example, small-medium enterprises in Singapore usually have to juggle fierce competition, tight margins and cash flow on a monthly basis. Instead of ignoring your letter of demand, the adverse party may choose to respond and request for an extended period of time to make payment. While this isn’t the ideal scenario, it’s a good idea to weigh this option against bringing an action against the adverse party. If the adverse party genuinely intends to eventually make the full payment and there are no pressing needs for you to get your money back, this can be an option to consider. Of course, there are many other considerations to look into as well before going this route, and you should speak to your legal counsel about this if this happens. This point is related to point number 1 and 3. An adverse party may have certain grievances or may not have sufficient funds to settle the outstanding sum. In such a scenario, the adverse party may write back proposing a compromise between the parties, offering to pay a lower amount to settle the payment between the parties. Similarly, you should speak to your legal counsel in the event you receive such a proposal and consider whether you want to pursue this option.